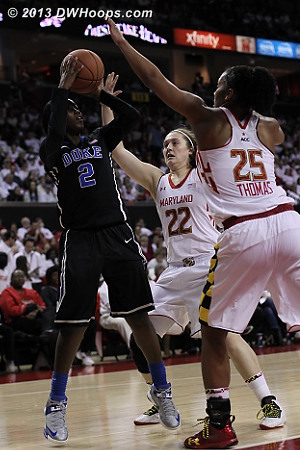 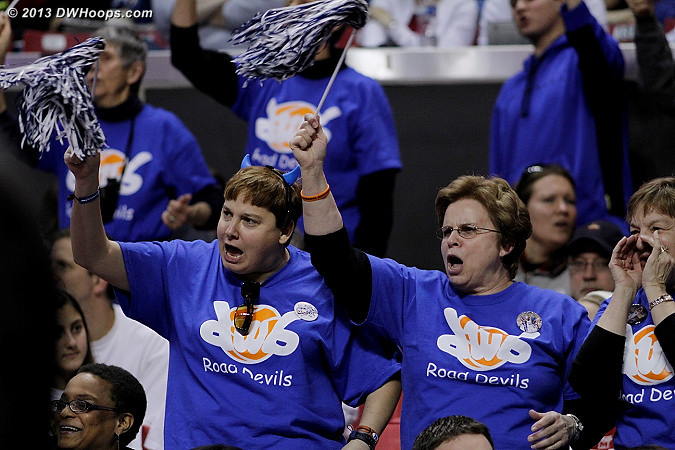 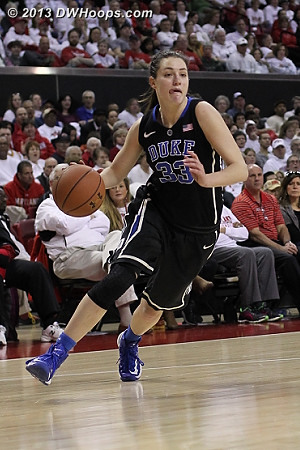 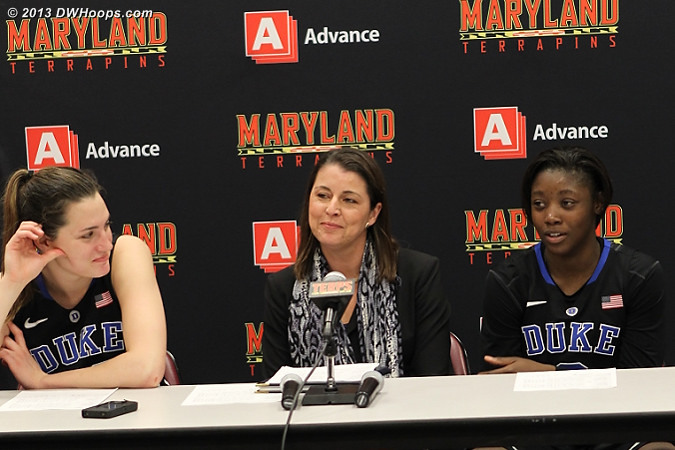 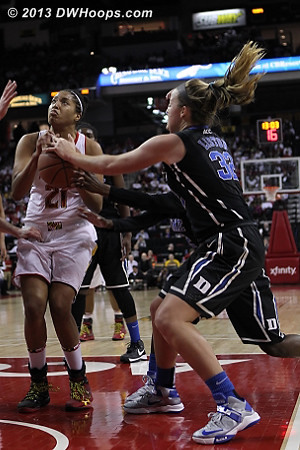 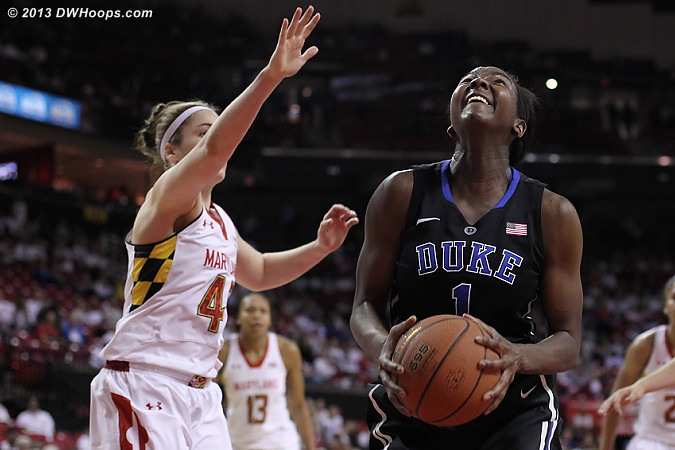 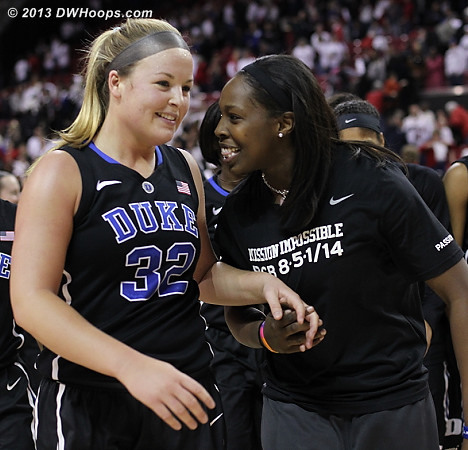 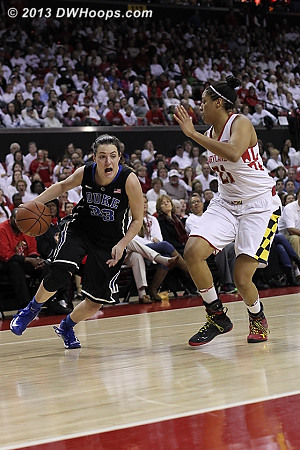 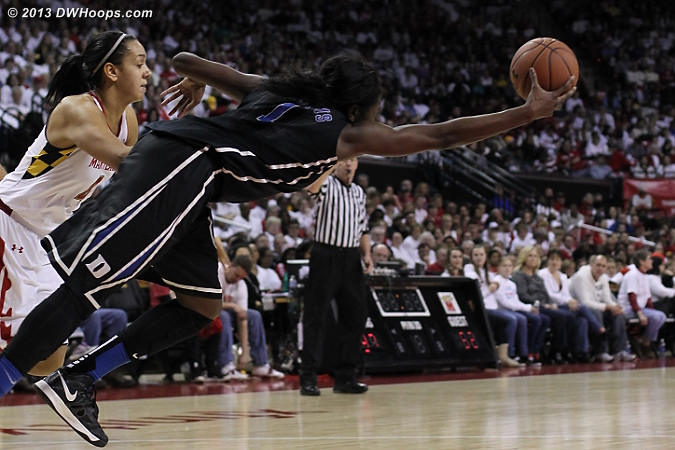 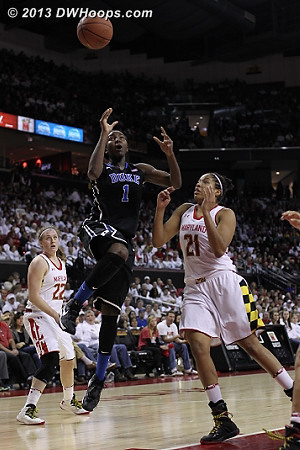 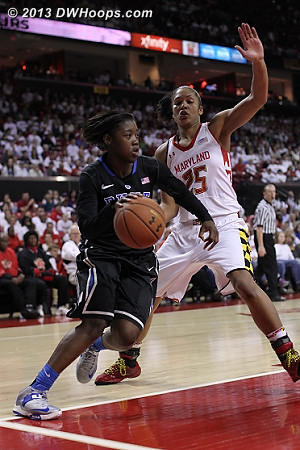 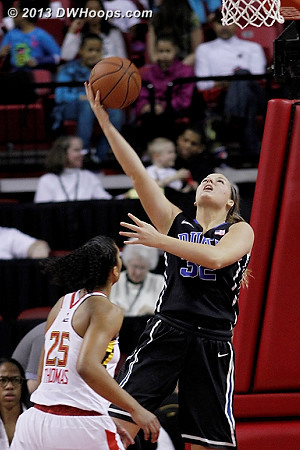 Our photo gallery tells the story of Duke's 75-59 win over Maryland. 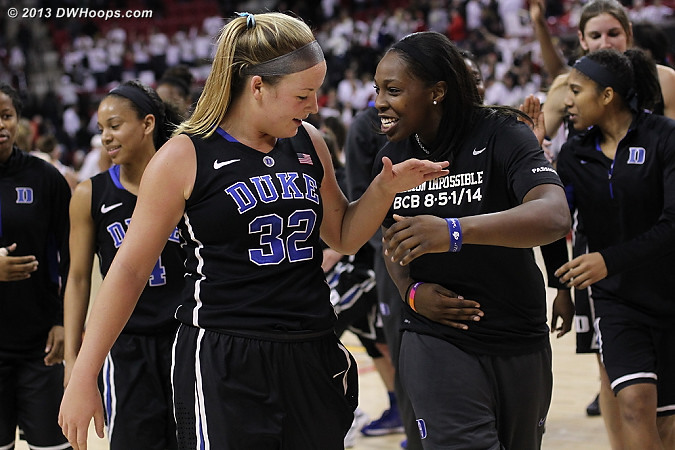 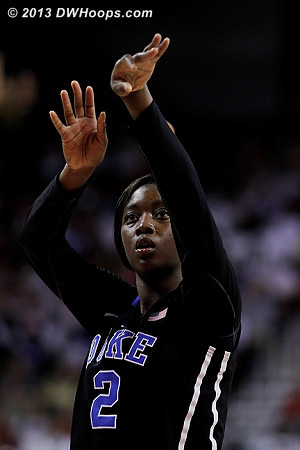 With the win Duke clinched the 2013 ACC Regular Season title and the #1 seed in next month's ACC Tournament in Greensboro. 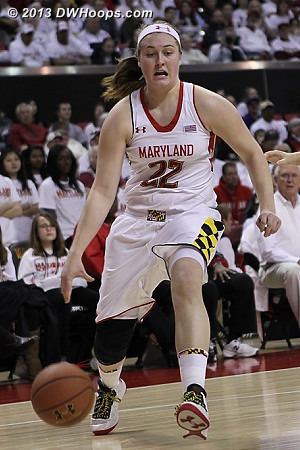 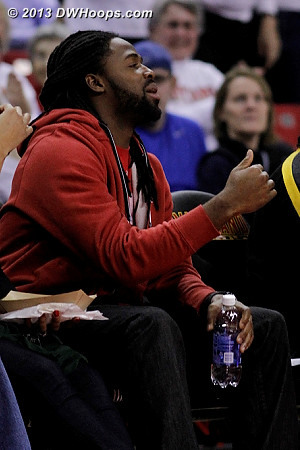 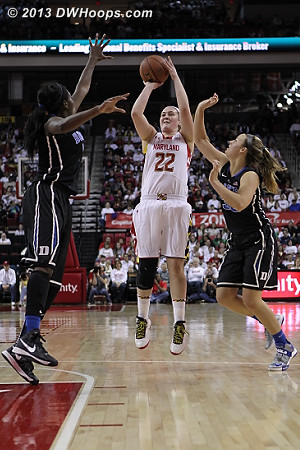 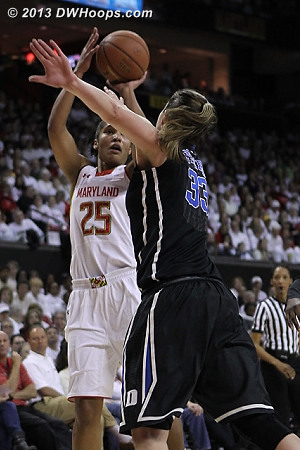 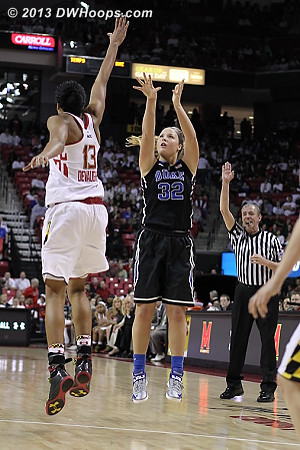 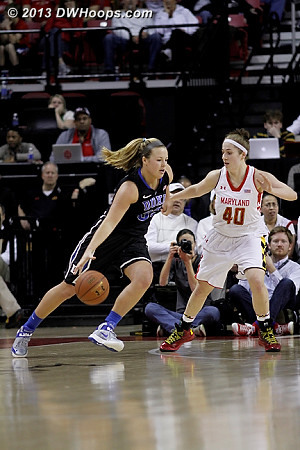 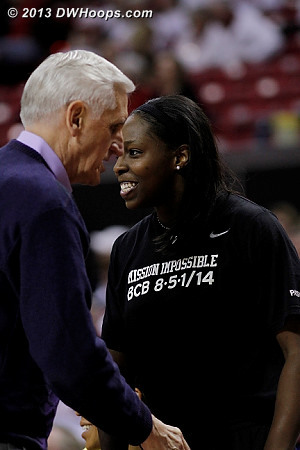 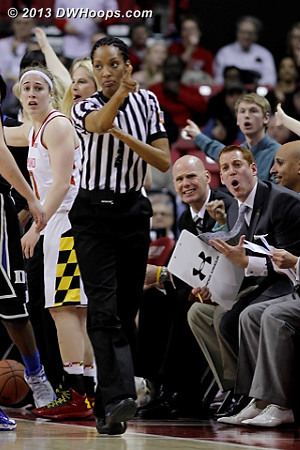 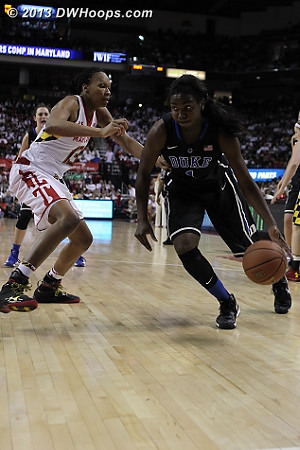 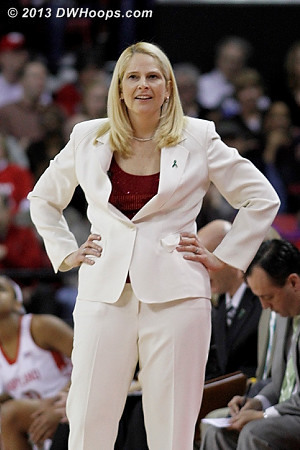 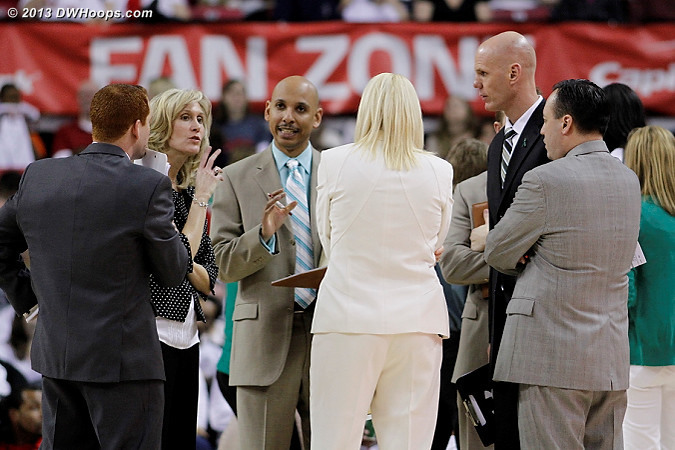 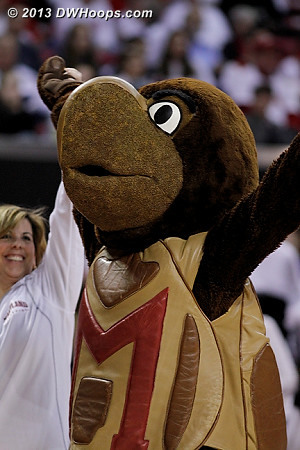 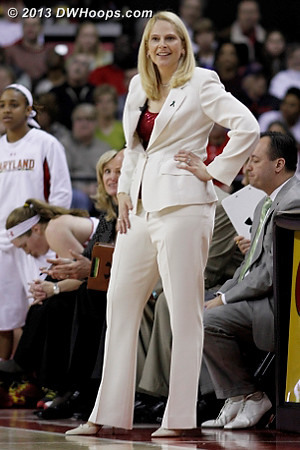 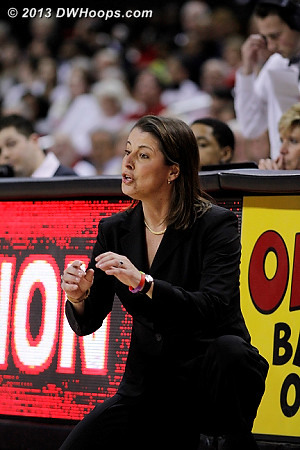 A gallery with a larger number of Maryland photos is available at ACCWBBDigest. 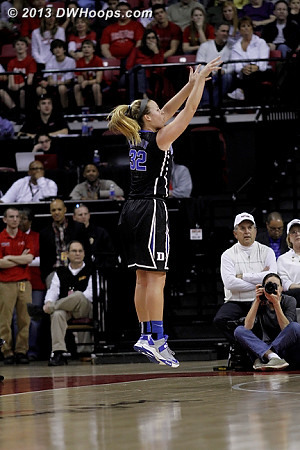 As always, DWHoops members get to see more photos. 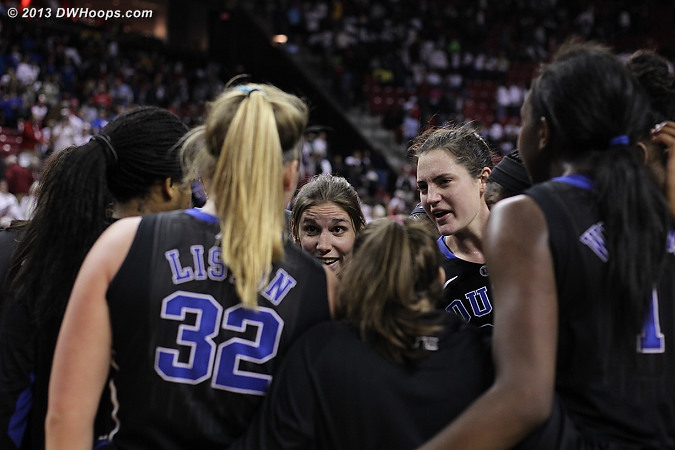 Duke pregame huddle was pumped up! 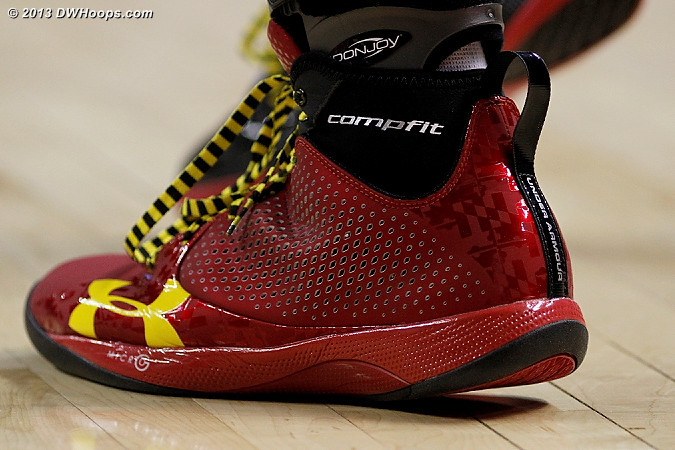 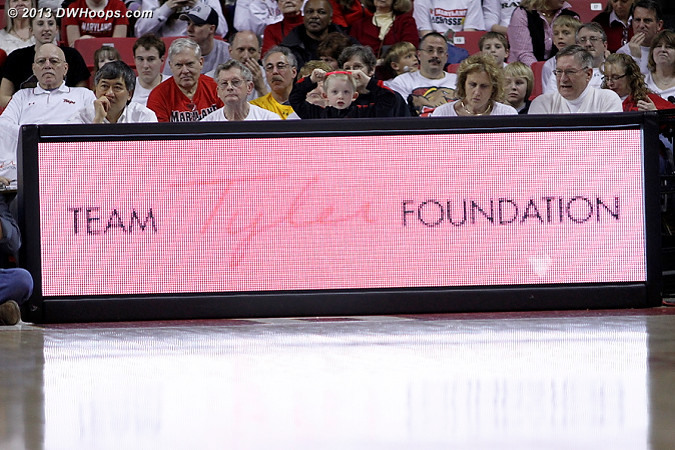 Today's game benefited the Team Tyler Foundation, an organization founded by former Maryland players in honor of Tyler Thomas, the son of Maryland coach Brenda Frese who has leukemia. 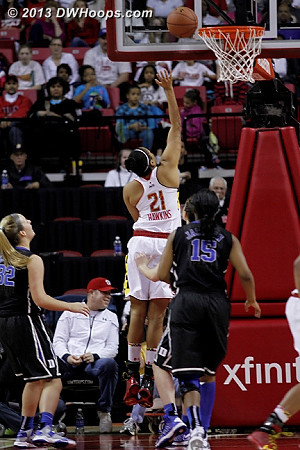 Wide wide open, nothing but the bottom of the net. 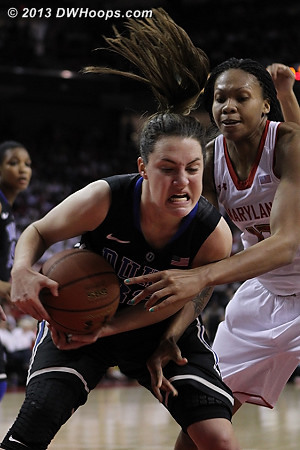 There's your story of the first half in two photos. 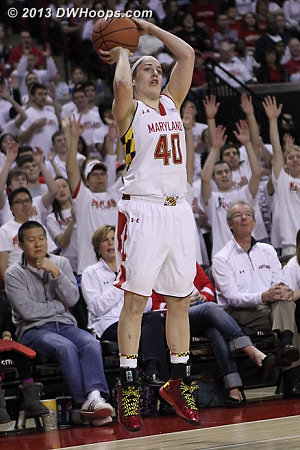 Maryland cheerleaders threw white t-shirts into the stands as part of their White-Out promotion. 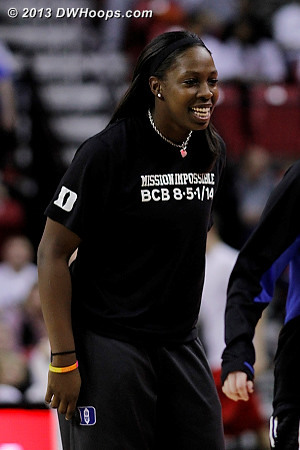 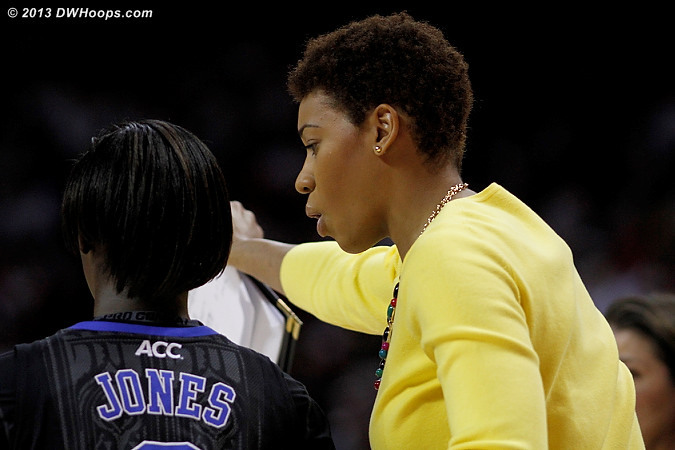 They drew 15,853 today, the seventh largest crowd in ACC Women's Basketball history. 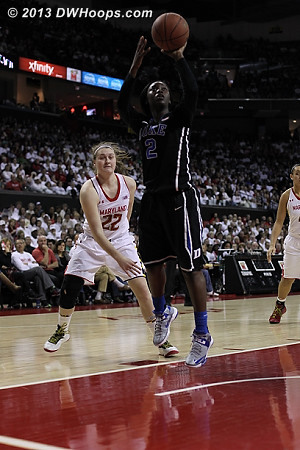 Liston is left wide open in the corner again, and Duke's lead balloons to 14. 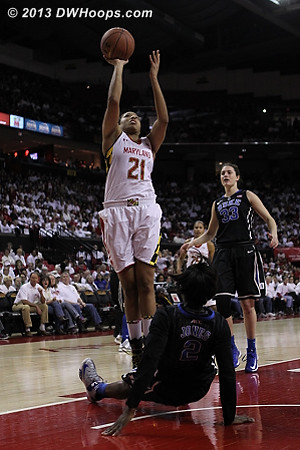 Maryland finally made a three with 7:45 to go, capping a run that brought them from 17 down to within eight points. 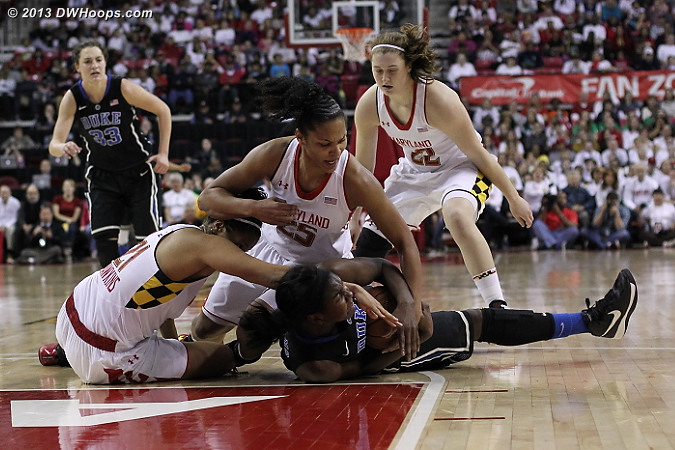 They would get no closer. 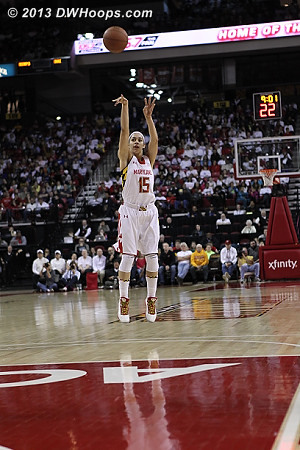 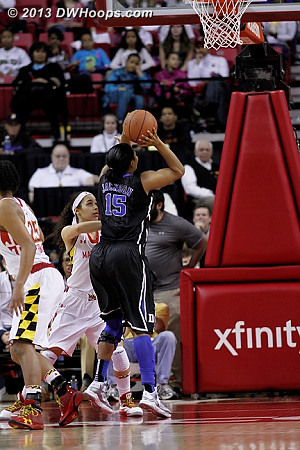 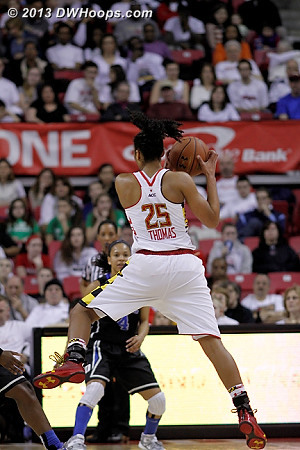 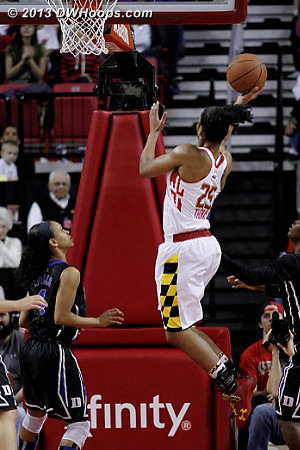 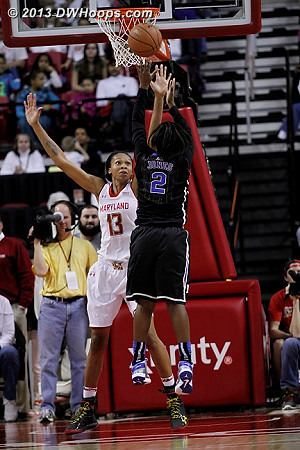 Summing up Maryland's afternoon, Alyssa Thomas blew this wide open layup. 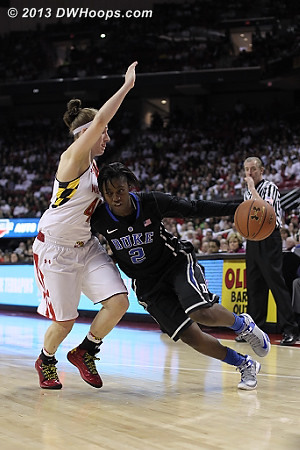 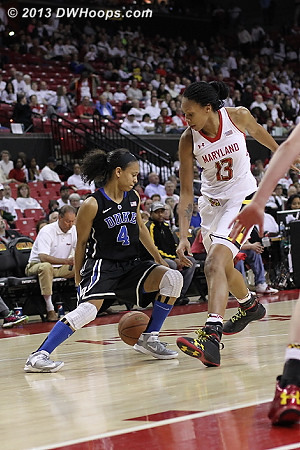 Duke's quickness when the floor was spread simply overwhelmed Maryland's abbreviated lineup.